1988. 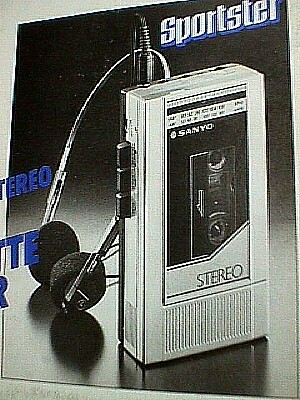 I saw my father had a Sanyo portable cassette player, looks like the ones above but a little different. I wanted it but I was too young to have it. I could not control my curiosity and played with it when father was not noticing. I even pushed the 3 button down together, which was very harmful to the player. It was luxury at that time. But no updates since then. My family was using the product for many many years (So does the TV, desktop cassette recorder/player, washing machine and so on). After a few years, classmates around me were using slimmer, cooler cassette players. Some of them were original Walkman made by Sony. I envied much. 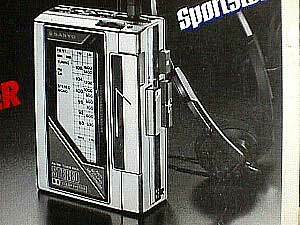 When I went to high school, one of my friend got a cooler player then cassette Walkman -- A Sony CD Walkman. It even had a remote control! I borrowed from him for a few days. Before that I can only play CD with PC's CD-ROM. I liked it so much and dreamed of having one.